AKIPRESS.COM - Tourists in Florence are being warned they could face fines of up to £450 for eating in the street, Daily Mail reports. New laws, which went into force on Tuesday, ban snacking in four streets in the Italian city's historic centre. According to The Local, the restrictions will be in place from 12 to 3pm and between 6 and 10pm. They will remain in place for four months. The affected areas are Via de' Neri, Piazzale degli Uffizi, Piazza del Grano and Via della Ninna. 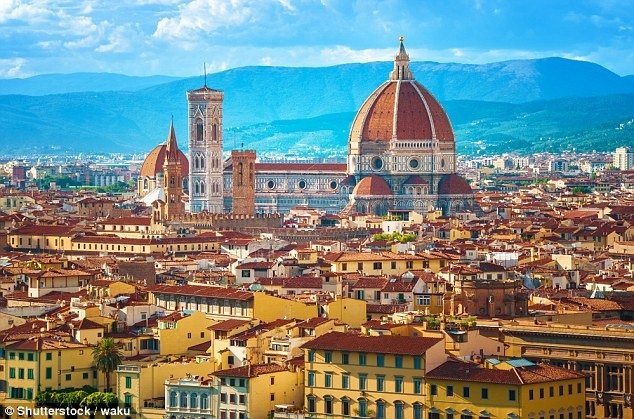 Florence is known for its fine cuisine and reviews on Tripadvisor have rated the city as having the world's best sandwiches. But the Telegraph reports that local businesses were fed up with tourists loitering outside their premises or sitting on kerbs and sating their hunger pangs.